Things have been relatively quiet here the past month. We had an incredibly relaxing Christmas and New Year’s. We stayed home for the holidays this year and had a small celebration with my parents. We also got to spend a lot of time with friends and getting out to some local sights (Roger Williams Zoo, Museum of Fine Arts in Boston). Up until this past week, the winter weather had also been relatively quiet. There were even some days that approached 60 during the holiday break. This week, that all changed. 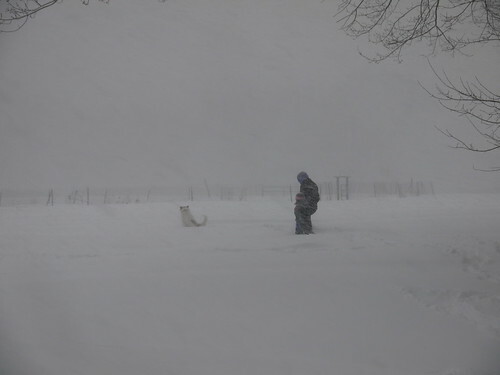 We got a substantial blizzard on Tuesday, dropping the highest snow total that we have had since living here on our farm (close to 30 inches with drifts over 5 feet). I was particularly concerned about this storm as we have two ewes that looked due to lamb any day. Thankfully, Frances waited until this morning to drop another set of twins–a boy and a girl. It was bitterly cold, but at least it was sunny. When I got to the barn this morning, I could see her in there with one lamb. 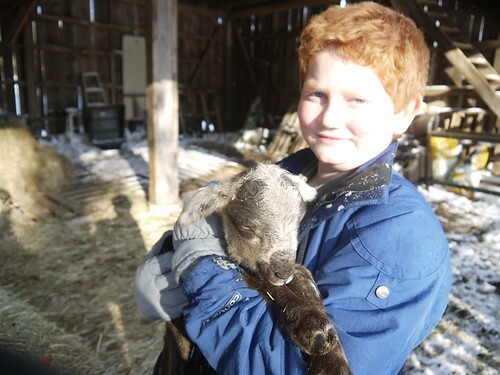 We had closed the sheep into the barn for the duration of the blizzard. I got the other sheep out into their other stall and fed everyone. 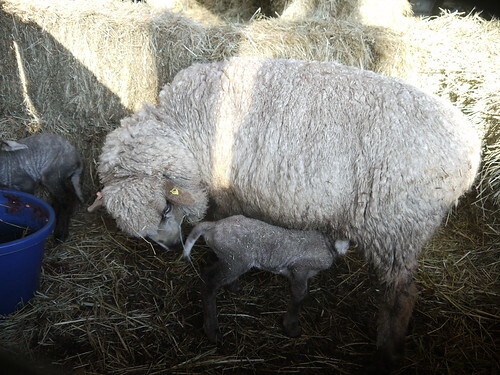 Frances had been huge, so I expected two lambs. After a minute, I thought I heard something. 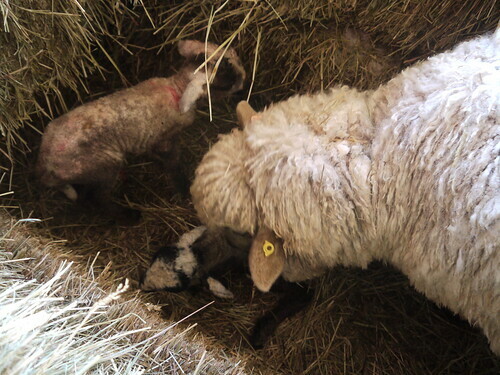 Sure enough, the other lamb had already been born and had managed to crawl behind a board in the barn, wedging itself into a corner. It took me a few panicked moments to get her out. She was wet and cold, but once I put her with her momma, she started to perk right up. We made one of our hay-stalls and put the mother and two lambs into it along with a bucket of water, some hay, and some grain. We have been out every few hours to check on everyone and each time, both lambs have been up and nursing. 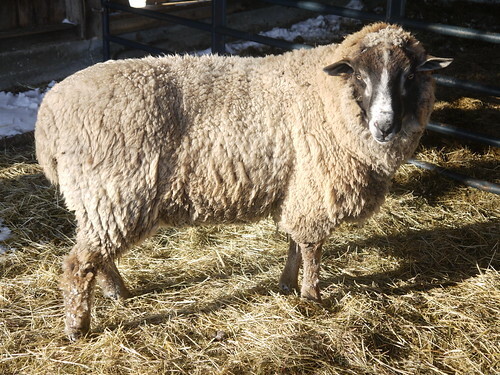 Their father is our ram Rorschach who had also been born in a snow storm a few years ago and survived on his own for a good six hours during a snow storm. There is no question that this is some hardy stock. I expect for Cameo to lamb sometime in the next few weeks. Love! Thanks for sharing these special little ones with me this morning 🙂 Congrats again!